Director of Macao Government Tourism Office (MGTO), Maria Helena de Senna Fernandes, visited the Macau University of Science and Technology (MUST) yesterday (11 April) to listen to opinions from students and engage in discussions with them on the future of the tourism industry. Students enthusiastically raised questions and shared their views on the opportunities brought by the Guangdong-Hong Kong-Macao Greater Bay Area development and what Macao has to offer as a travel destination among other topics. 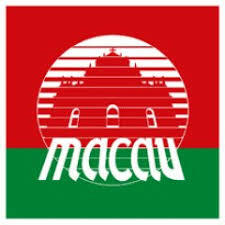 Senna Fernandes was delighted that students took the initiative to express their concern for Macao’s tourism industry and voice their ideas actively, and hoped that the Office can enhance communication with youths by organizing such activity. MGTO Director Maria Helena de Senna Fernandes met with close to 170 students of the Faculty of Hospitality and Tourism Management of the Macau University of Science and Technology and representatives of the Students’ Union of the respective Faculty for an exchange of views. At the occasion, Senna Fernandes shared about the work progress of MGTO with regard to participation in the Guangdong-Hong Kong-Macao Greater Bay Area development as well as various celebrations and promotional activities of the 20th Anniversary of the Establishment of the Macao Special Administrative Region besides other topics, to familiarize students with the role of tourism and the latest tourism development. Following the presentation, Senna Fernandes engaged in an exchange of perspectives with the students, who raised a wide scope of profound topics including the opportunities brought by the Guangdong-Hong Kong-Macao Greater Bay Area development, cultural travel experiences offered by Macao, nighttime tourism products, the 7th Macao International Travel (Industry) Expo, tourism carrying capacity, non-gaming elements and employment prospects, etc. Students enthusiastically raised questions and shared their points of view, filling the session with a lively vibe. By organizing visits to youths, student organizations and so forth, MGTO hopes to listen to youths’ opinions and enhance communication with them, while helping young people to gain deeper insights into the background and thought process behind governmental policies. Senna Fernandes was glad to see students actively express their concern for Macao’s tourism industry as well as their views and expectations on tourism development. She stated that students of the Faculty of Hospitality and Tourism Management of MUST are quite concerned and familiar with the current situation of Macao’s tourism development. The in-depth exchange will serve as practical reference for the future planning for the tourism industry. Vice President of MUST, Pang Chuan, Vice Dean of the Faculty of Hospitality and Tourism Management of MUST, Chu Oi Mei, representatives of the Students’ Union of the Faculty of Hospitality and Tourism Management of MUST, as well as Head of Organizational Planning and Development Department of MGTO, Sarah Ma, attended the occasion together with others.